All over the Peninsoula you will find different kind of beaches all of them quite and unspoiled. Pebble beaches, small cricks, rock beaches with crystalline waters and vast sand beaches with shallow water. A pebble beach and a swimming pool café open to public. A rocky beach with crystal-clear waters. An impressive beach on a protected cove sheltered by two rocky promontory. There is a local fish tavern on the beach. A picturesque sandy beach with shallow clear blue waters. Pebble beach with tree shade. A sand beach facing the sunset. The walking path to the ancient city Aigila and the monastery of Krounos passes in front of the house.You can discover different places by yourself or by a professional guide. There are walks of varying difficulty, from those suitable for young children to others which are really challenging. 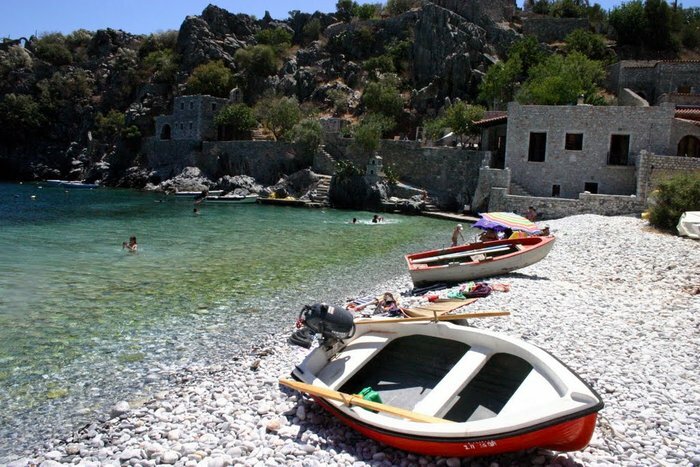 Traditional architecture: 98 traditional settlements, from the 118 classified in Peloponisos, exist in Mani. Walk along the old and narrow stone paths in villages with stone towers and traditional rectangular plan houses that form settlements like fortresses. We recommend you to visit Flomohori, Lagia, Vathia, Marmari. Diros caves: Interesting floating caves, visited by boat. Tour of 45min. Open every day (except Monday) 8.00-15.00, Tel: +30 27330 52222. In Mani there are lots of panigyria (festivities) linked to nature, seasons and religion, in which the local community gathers. You are more than welcome to participate and experience the greek hospitality. 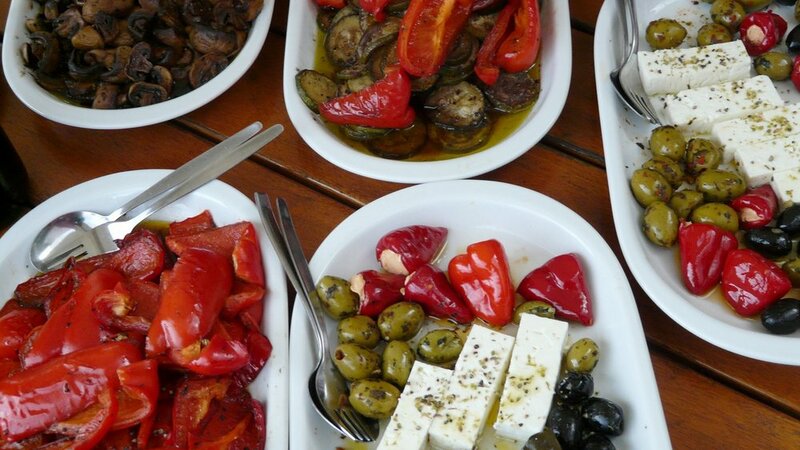 Do not miss the chance to taste greek gastronomy in one of the local tavernas. In Taverns and cafes in Mani you will meet many locals, since socialising while eating Mediterranean products is an essential part of everyday life. In November we hand-pick the olives to make our own olive oil and brined olives. Come and join us in this unique experience! Discover Greek cuisine and its hidden treasures by joining a culinary journey at Maina.